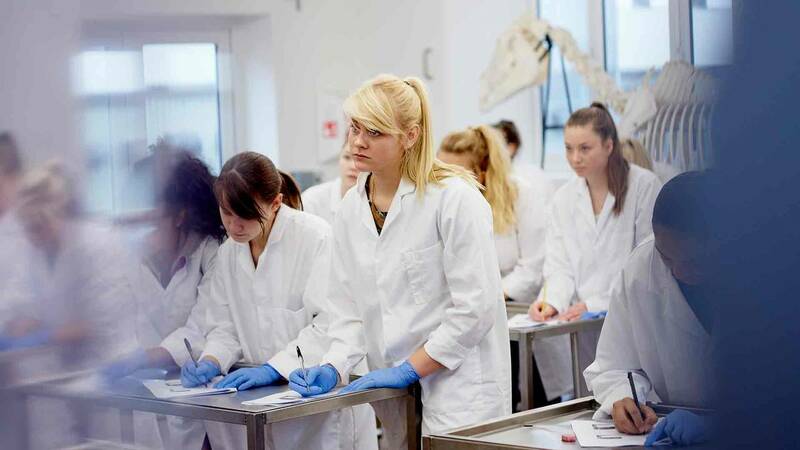 Keele University Council and Harper Adams University Board today confirmed plans to establish a new joint Veterinary School, due to take its first cohort of students in 2020. The new Vet School will provide a five-year programme leading to a degree in Bachelor of Veterinary Medicine and Surgery, with training to be delivered on both university campuses in partnership with local clinical providers and industry. Accreditation will be sought from the Royal College of Veterinary Surgeons, enabling graduates to register and practice as vets upon the award of their degree. Vice-Chancellor of Keele University, Professor Trevor McMillan, said: “I am delighted that together with Harper Adams University, we have now taken another major step forward in progressing our plans to develop a Joint Veterinary School. 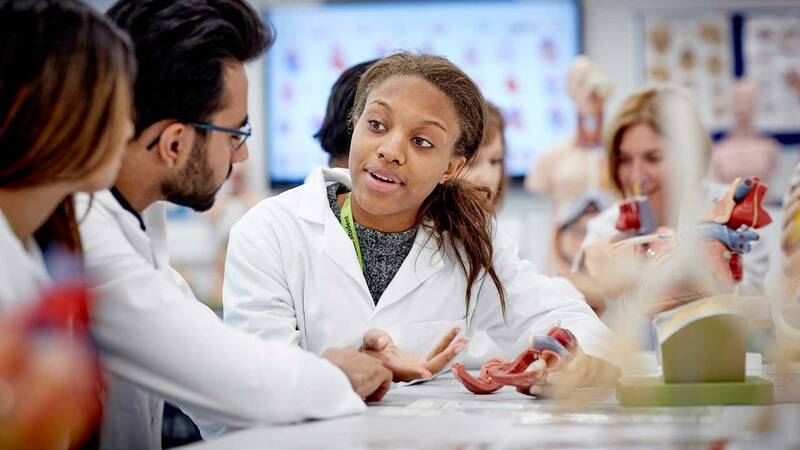 Our two universities share a common philosophy of providing an outstanding learning and teaching experience, reflected in both having recently received a gold rating in the Teaching Excellence Framework, as well as ranking consistently highly in UK student satisfaction surveys, showing the natural affinity between us. Vice-Chancellor of Harper Adams University, Dr David Llewellyn, added: “After nearly a year of joint planning, both University governing bodies have strongly endorsed the proposal to create a joint Veterinary School. Two major considerations for the Harper Adams Board were that the new School will aim to widen access in this subject area and that, importantly, it will further support the UK’s agricultural sector as it faces a period of major change when the UK leaves the European Union." As well as being a new provider in the region the School will reach out to those who may not have traditionally considered a career as a vet. The institutions’ joint commitment to social mobility and the School’s dual location within the rural communities of Staffordshire and Shropshire, and on the edge of the urban Stoke-on-Trent conurbation, makes it ideally placed to offer opportunities not currently available in the area. Professor Jonathan Wastling, Pro-Vice-Chancellor and Executive Dean of Natural Sciences at Keele University, commented: “Today’s decision allows us to move forward with delivering this ambitious and pioneering project which will enhance business and local development opportunities and will lead the agenda on new partnerships in higher education by providing a distinctive new Veterinary School for the UK. Professor Peter Mills, Deputy Vice-Chancellor at Harper Adams University added: “Now that a formal decision has been made by the respective University Governing Bodies, we are keen to progress with the planning and capital build for the new school which will open in 2020. Training of vets will complement Harper Adams’ existing, extensive portfolio of veterinary and animal science undergraduate and postgraduate courses that will further support the farming sector”.